The new Tamron 90/2.8 Macro VC ii is a very likable lens: It combines very good optical performance with very good image stabilization and beats the venerable Nikon 105/2.8G in almost any respect. Its autofocus is reliable (after some tweaking) and the lens performs equally well from close-up to landscapes. As such it easily earns a Highly Recommended. Check prices on the Tamron 90mm f2.8 II at Amazon, B&H, Adorama, or Wex. Alternatively get yourself a copy of my In Camera book or treat me to a coffee! Thanks! The Tamron SP 90mm f2.8 Di Macro VC USD is a stabilized full-frame macro lens available in Canon, Nikon, and Sony A mount. Announced in February 2016, it’s already the second iteration of Tamron’s stabilized 90mm macro from 2012 claiming improved stabilization from a newly added XY-shift compensation and better weather sealing. The new lens is also compatible with Tamron’s new USB dock for fine-tuning AF and VC or firmware updates, called the TAP-in Console. To distinguish the new version from the old I designated the new lens as “VC ii” throughout this review. 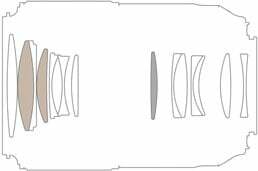 The official Tamron moniker for the new lens is “model F017” the old one being “model F004”. Image stabilization of fixed focal lenses below 100mm length is an important move that reflects the development of ever-higher mega pixel count sensors. With 36MP, 42MP and 50MP full-frame sensors as well as 24MP APS-C/DX sensors it is increasingly hard to achieve really sharp shots devoid of (micro-)blur. The old 1/focal-length rule for shutter-speeds that are on the safe side no longer applies for the pixel-densities of modern sensors: today we’re more talking about using 1/200 sec on a macro lens of 90-105mm focal length. But with a good image stabilization (dubbed “Vibration Control”/VC by Tamron) there’s hope to get sharp shots hand-held at around 1/25 sec at normal magnifications. But with macro lenses you have two additional challenges: shake becomes more pronounced the larger the magnification, plus normally you need to stop down further to achieve a decent depth of field. That’s why many photographers rely on tripods for their macro work. So it’ll be interesting to see whether Tamron managed to implement an effective image stabilizer and excellent optical design to differentiate itself from other stabilized long macro lenses. To find out how it performed I tested the Tamron SP 90mm f2.8 Macro VC ii on Nikon’s 36MP D810 and compared the results against Nikon’s own AF-S 105mm f/2.8G ED Micro Nikkor and the predecessor from Tamron model F004. As usual I’ll have a look at the technical data first. I’ve rated the features with a [+] (or [++]), when it’s better than average or even state of the art, a  if it’s standard or just average, and [-] if there’s a disadvantage. I’ll compare it with the AF-S micro Nikkor 105/2.8G ED (the “Nikon 105/2.8” for short). The score in the “features-department” is 2[-]/3/8[+]. In direct comparison to the Nikon 105/2.8 the new Tamron 90/2.8 Macro VC ii looks pretty similar with the fluorine coating of the front lens making up for the missing lens case. Compared to its predecessor the lens features fluorine coating, improved image stabilization, weather sealing plus compatibility with the TAP-in console for fine-tuning but optical performance should be the same. So doubling the price of the lens seems like a bold move. – Nikon offers the AF-S Nikkor 105/2.8G ED VR. 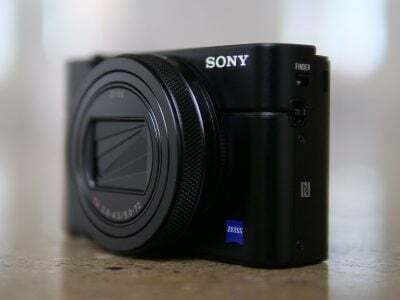 It was the first stabilized macro on the market and costs around 800 EUR. It earned a Highly Recommended in my Nikon 105/2.8G VR review. There’s also the Nikon AF-S VR DX Micro 85mm 3.5G IF-ED at 450 EUR but it only covers a DX sensor and has a 2/3 stop lower focal ratio. It earned a Recommended in my Nikon DX 85/3.5G VR review. – From Canon there is the EF 100mm 2.8 L Macro IS USM for 770 EUR. It’s from 2009 and of similar size and weight as the Tamron. 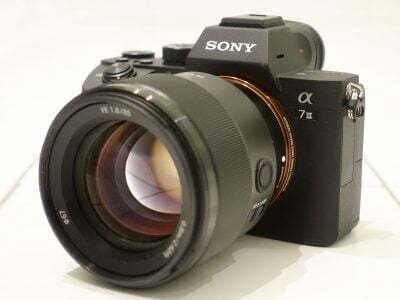 – From Sony mirrorless cameras, there’s the FE 90mm f2.8 Macro with optical stabilization for around 999 EUR which performed very well in Gordon’s tests with the A7r Mark II. – Sigma offers three stabilized f2.8 macro lenses at 105mm (420 EUR), 150mm (900 EUR), and 180mm (1500 EUR). All three cover full-format sensors with the longer focal lengths offering longer working distances. And while the Sigma AF 105mm 2.8 EX DG OS HSM Macro is only slightly larger and heavier than the Tamron, the Sigma AF 150mm 2.8 EX DG APO HSM OS Macro is already a 1.2kg lens and the 180mm sibling weighs in at 1.6kg. – Tamron’s own predecessor F004 can still be had and looks like a bargain at 400 EUR. But supplies are bound to dry up soon. And than there is a plethora of non-stabilized macros also from Samyang (manual focus only) and Tokina. When shopping for the Tamron lens, be sure to confirm if it’s the new model F017, or the old model F004. Focus accuracy and repeatability is critical to consistently produce sharp shots. Repeatability (the accuracy of focus on the same subject after repeated focus-acquisition) of this lens is good (measured 96,9% in FoCal) with three mild outliers over a series of 40 shots. But you better make sure that you fine-tuned autofocus: I had 4 real outliers in 20 shots before I adjusted the fine-tune value by only 5 units. 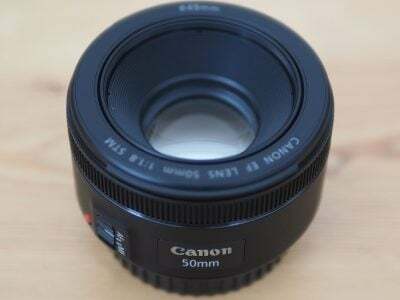 The lens focuses in under 0.4 sec from infinity to 0.9m which is very fast. The 40mm broad focus ring has only a very tiny bit of slack/play between its movement and the focus-action. Its movement is of medium smoothness. Focus throw is a long 190 degrees but manual focusing at large apertures is still tough because only around 15 degrees of throw is used to focus between infinity and 1m. It turns the same way as Canon photogs are used to but that is the wrong way for Nikon users. AF-operation is barely audible from the outside and if you record video with the built-in microphone there’s only a slight “tock” at the beginning of focus-movement and the AF-drive is very quiet. The image stabilizer is virtually silent on the outside and when recording video there’s only a faint noise recorded. If you pull focus e.g. from infinity to 1m you’ll notice some amount of focus breathing: the magnification increases by 18%. To test the effectiveness of the image stabilization I did a series of 100 test-shots hand-held at my usual magnification of 1:40 (distance being around 3.6m). Shutter speeds were from 1/100 of a second down to 1/12 sec. Comparing the shots with VC=ON with a reference sample of 20 shots at 1/100 sec with VC=OFF I can report that the VR is easily good for 3 stops of image-stabilization. That is a very good result and a main benefit compared to non-stabilized lenses. It means you can shoot around 1/10 sec and still get a very high keeper-rate. I did a similar test at a magnification of 1:5 (around 0.5m distance) to see whether the VC was also effective in damping shake at close-up shots. As magnification is 8 times higher than in the normal test I used 20 shots at 1/200 with VC=OFF as a reference sample. Under these conditions the VC was good for about 2 stops of image stabilization, that is at 1/50 sec you could achieve results that were on average as sharp as the unstabilized results at 1/200 sec.